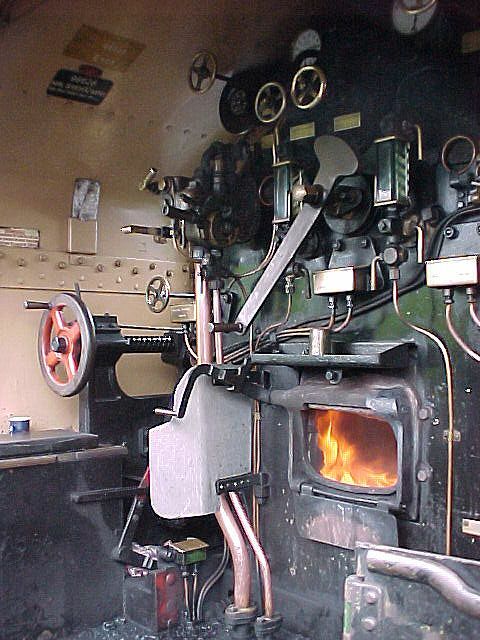 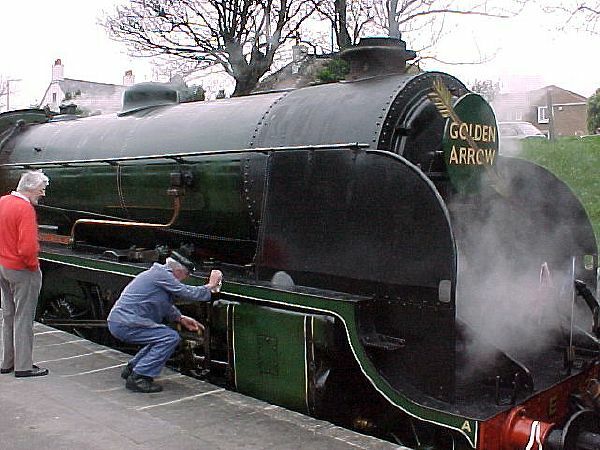 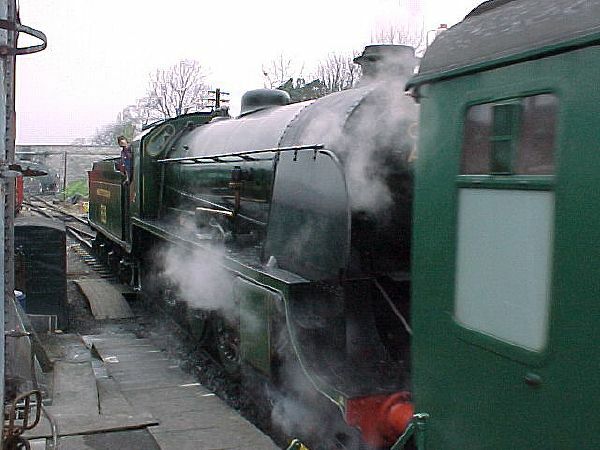 S15 'Harry A Frith' at Swanage, on 'Golden Arrow' driving experience turns. 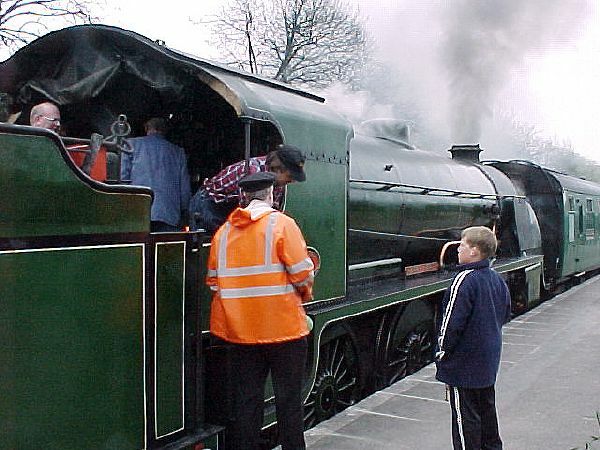 Instruction time for the 'experience' crew from the regular Swanage driver. 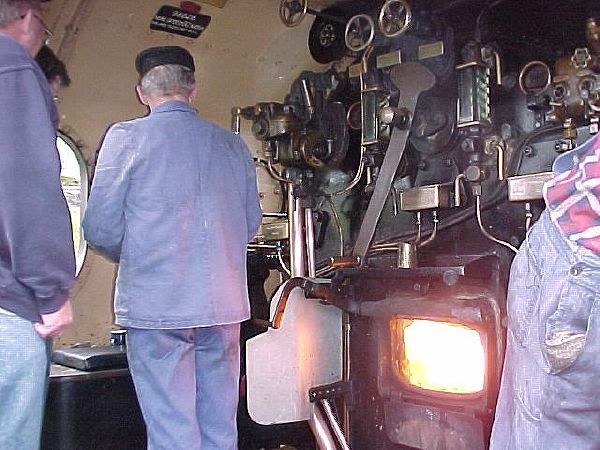 Last minute instruction as the S15 waits for the 'off' - remember that SR poster? 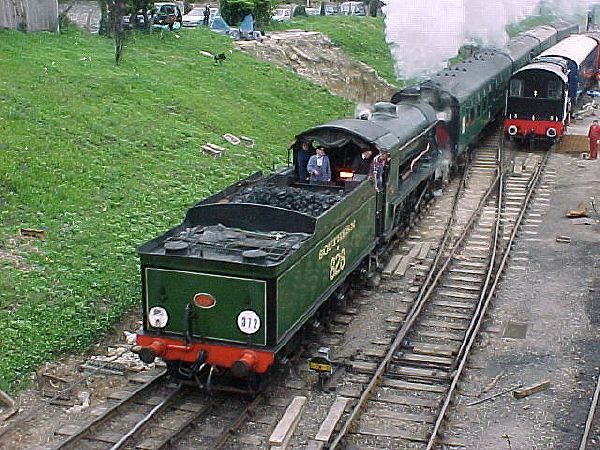 With a strong exhaust, the S15 passes the excavations for the new Swanage signal box. 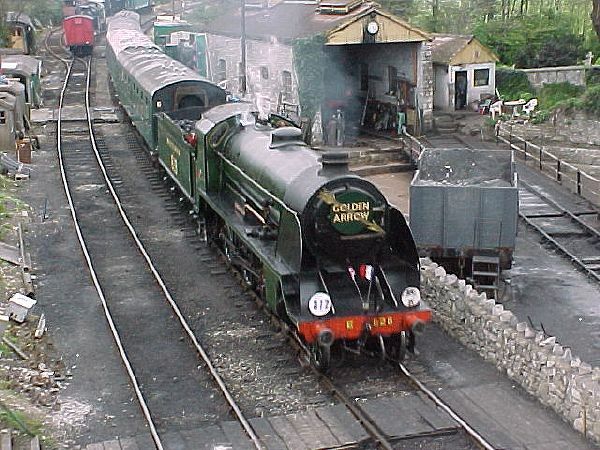 'Harry A Frith' passes the Swanage MPD as she returns at the end of another 'Golden Arrow' experience turn.